Mobile Inbound Marketing - Is There an App for Your Company? Since my post last week, I'm sure you have already set in motion plans for optimizing your mobile website. What's next? 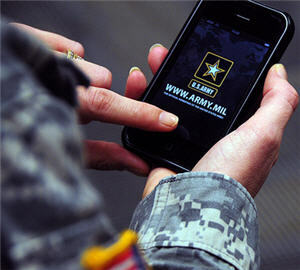 According to a recent research by Pew, 24% of all adults in the U.S. are actively using mobile apps every day. Is this another can't-miss target for marketers? Let's explore the differences between mobile websites and apps and the key points to consider in planning your strategy. What's the Difference Between a Mobile Website and an App? Function - while both serve to provide information, entertainment or communication, apps are usually designed to do something very specific, like give you a weather summary, directions to a destination or a game to play. While there is considerable overlap here, websites are more tied to brands, while apps are more about utility. Availability - mobile websites require a good mobile internet connection, while apps do not. Depending on your location and service, the mobile web may not always be available. Having said that, many apps also require an internet connection to access your accounts and information stored in a remote database. User Experience - apps are generally more attractive, easy-to-use and optimized for the mobile experience. Mobile websites are starting to close the gap, however, as web designers learn from effective app designs and apply their knowledge to mobile websites. Expense - mobile websites are relatively easy to create and optimize for smart phones, while apps require more complex programming, design and testing. According to ReadWriteWeb, your mobile website will cost about 50%-80% of the cost of your original website. A well-designed app can cost as much as $30K-$50K per mobile device. So Why Would You Even Consider Building an App? Apps are wildly popular, and they can be monetized. People will pay a small fee for downloading and installing a useful or entertaining app. This can offset development cost and even deliver a profit for the most popular apps. If you are just delivering a message (such as brand marketing) or simple information (location, price, contact information), build a mobile website. If you are delivering lots of on-demand information, for example a ticker or scoreboard, you need an app. If you have a relatively simple interactive function, like a loan calculator or survey, the mobile web will suffice. If you are delivering a game or other more dynamic interactive feature, you should build an app. In either case, mobile web or app, you have the opportunity to brand your content and capture leads via forms. Apps can provide some additional information, such as geo-location and user preferences (such as time of day) that websites generally can't deliver. Apps may be viewed more often than websites, because their functions are generally more useful and applicable on a daily basis. So what's the bottom line, do I need a mobile website or app? You need a mobile website. Period. In my previous post, I explain why. You have value-added service that you can deliver to mobile customers that gets updated or "pushed" frequently. Examples, stock information, real-time inventory or customer service, data from ongoing operations, etc. You have a cool game or other interactive application that will attract mobile people to your brand and get them "hooked". About 60% of all app users are playing games, while another 50% are using news and weather apps. Yet another 40% is using social media. You have a business actually built around a mobile app, for example a dating service or a restaurant review/locator service that enables people on the go to find what they seek in real-time. There is another way to build an app - using social media. I will cover that option in my next blog post. Is there an app in your company's future? I'd love to hear your ideas.